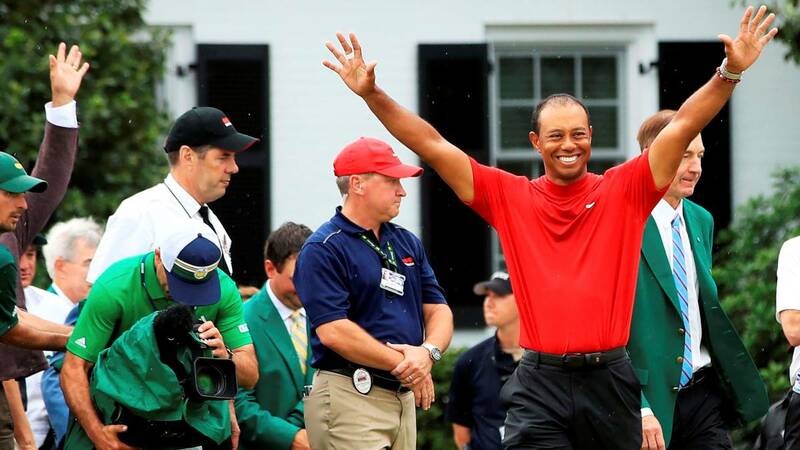 Woods' triumph turned the final round of Sunday's Augusta Masters into the most watched in 34 years in the morning. Obtained a 7.7% screen share. The fifth Tiger Woods Green Jacket not only unleashed the excitement of golf fans across the globe, but also propelled the audience of the Augusta Masters. It was in the United States, where CBS recorded in the final round on Sunday 7.7% screen share. A data that allows a double reading: it is the final round least seen since 2004, but it is at the same time the most watched in the morning in 34 years. In any case, it becomes the most followed golf broadcast in the country since the final round of the Masters last year. The peak of the retransmission was recorded between 14:15 and 14:30 (18:15 and 18: 30 hour Spanish) and reached 12.1% of share. The data, eleven percent lower than in 2018, confirm the media tug of El Tigre and that, without the change of schedule due to the adverse weather conditions, the audience would have shot . The 1997 edition in which Woods donned his first green jacket is still the most viewed of the Augusta Masters with 20.3 million viewers and a 14.1% share of screen, followed by the of 2001 also won by him (19.2 million and 13.3%) and that of 2010 with victory for Mickelson (16.7 million and 10.7%). Last year, Reed won, saw 13 million people (7.9%) . In Spain the windows to see the triumph of Tiger Woods were Movistar Golf and #Vamos. Sources of the payment platform informed As yesterday that they were not yet in a position to provide audience data of the tournament in our country, but that would be public in the coming days. Woods' success surpassed the small screen and moved to the networks. Arrasó on Twitter with the congratulations of a host of celebrities and sportsmen. "The biggest comeback in the history of sports," Curry wrote. "Incredible! The best! ", Said Bale. Tom Brady, Serena Williams, Mickelson, Nicklaus, among many others, also left their message. It is the effect of El Tigre, capable of even agreeing with Donald Trump and Barack Obama.